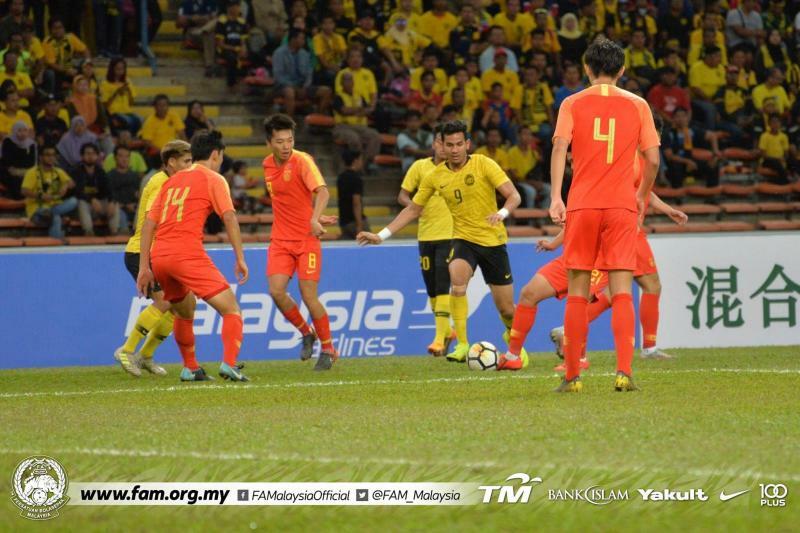 Malaysia shows no discouragement throughout the match. 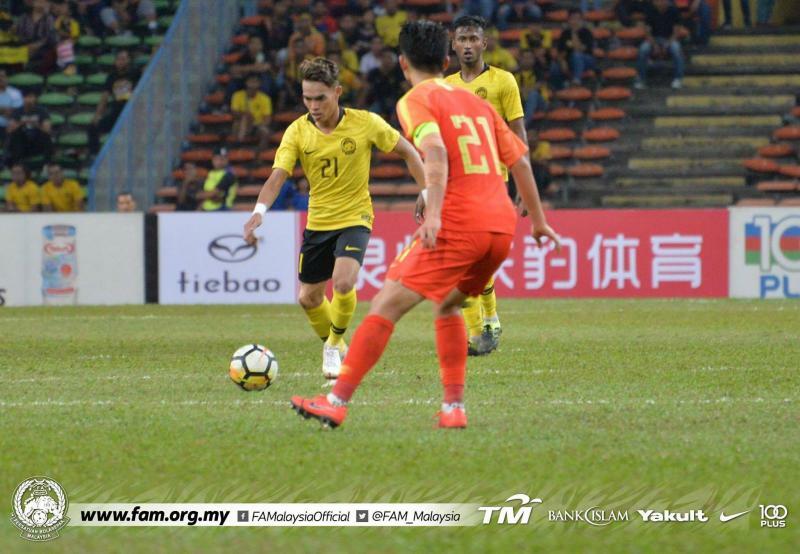 Despite failing to qualify for the final tournament in Thailand next year, Ong Kim Swee's men give a fierce fight against China, guided by renowned coach Guus Hiddink. This game against China showed their true character as they took the lead twice and were six minutes away from pulling off arguably the biggest upsets of the qualifiers. Nik Akif and Syamer Kutty are two successful young men who are consistent throughout the game. Nik Akif managed to control the middle of the pitch. The teenage midfielder performed well, making sure his Chinese counterparts did not have an easy time breaking through the lines. Meanwhile, Syamer continues to give decent performances in defense but failed to use his height to clear the cross that led to the goal. The right wing-back started a good match, his cross in 8th-minute struck Zhu Chenjie's foot and put it into his own goal for, but his defensive performance was called into question. 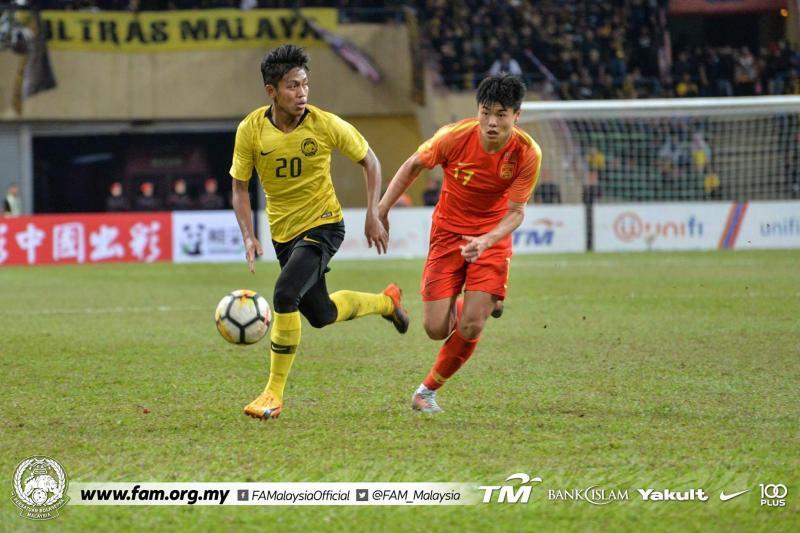 Both of the goals from China came from his weaknesses to cover his position, and that ultimately led to the equalizing goal that denied Malaysia passage to the final tournament. 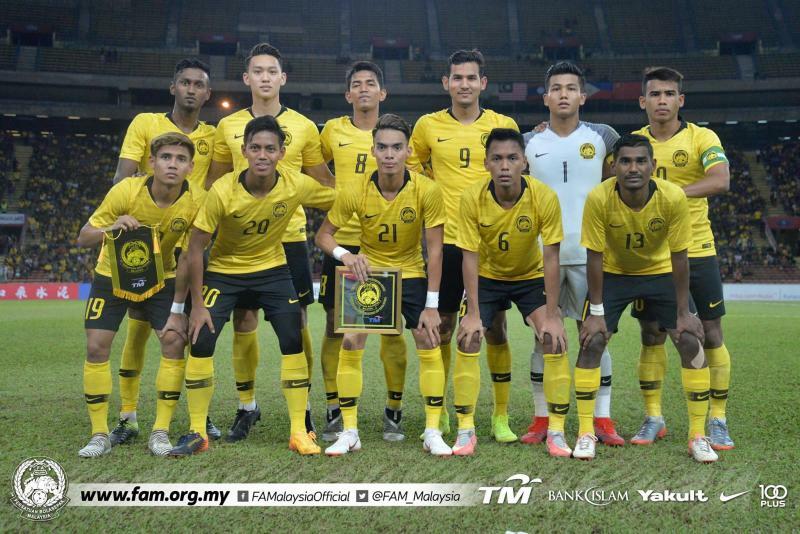 Despite failing to qualify for the finals in Bangkok and subsequently the 2020 Tokyo Olympics, this tournament was a sign that Malaysia has good young players who could soon be making their name with the senior squad. Each of the individual results, including the 3-0 triumph over the Philippines and the 1-0 win over Laos, were decent in their own right. The future of the Young Tigers squad looks bright.